The MJC Halaal Trust (MJCHT) has confirmed Air Chefs based at Cape Town International Airport is fully halaal compliant. The reassurance comes after it received a complaint from a former staff member at Air Chefs and conducted an investigation on the matter on Monday. “The Halaal Trust received a call from a former employee at Air chefs claiming contamination of Halaal with non-Halaal products and utensils at their Cape Town branch,” said the MJCHT Chief Operations Officer, Shaykh Moosa Titus. “On completion of his inspection at Air Chefs, our Halaal inspector returned to our offices, submitted a report and advised that all the protocols pertaining to the Halaal and Food Safety Standards were in compliance,” Shaykh Titus added. Air chefs have a separate halaal kitchen in which all halaal food is prepared, plated and sealed. At least two halaal monitors are present at all times. In addition, the staff of the halaal kitchen wear a separate uniform to the non-halaal staff and are not allowed free access to kitchens. According to Shaykh Titus, the Non-Halaal staff are not allowed to enter the halaal section unless they change their uniform and wash their hands — a procedure that is overseen by security at the transit area outside the halaal kitchen door. The MJCHT management subsequently had a meeting with Head Manager of Air Chefs: Food and Catering Department, Sipokazi Pupum on Tuesday to verify the details and to provide additional recommendations. “Earlier this year the MJCHT conducted a workshop on the topic of halaal with all Air Chefs’ food handlers. This training will be re-introduced as soon as possible so as to avoid any misunderstandings. Although there is currently a gate and security guard on duty, as an extra precaution, we are requesting management to enclose the transit area or area where aprons are hung and the wash basins are positioned. The enclosure would ensure the area is better monitored by security,” Shaykh Titus continued. Ms Pupum agreed that they will look into the extra precautionary measures advised by the MJCHT. She further reassured MJCHT members that she was not aware of any discrepancies and explained that she has been working for Air Chefs for the last 15 years. “She stated to us that her experience within the company has provided her with an in-depth understanding of the Halaal requirements and she will not compromise on Halaal protocols,” Shaykh Titus said. 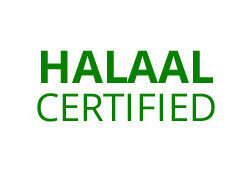 “Based on our findings the MJCHT confirms Halaal compliance of Air Chefs halaal certified kitchen in Cape Town. We will continue to monitor their kitchen and ensure all protocols are adhered to,” he concluded. Halaal inspectors are instructed to unexpectedly, and without any prior notice, present themselves to the client and conduct halaal checks on the premises. – a minimum of two halaal staff members (or monitors) that are on duty at all times. – cold rooms, dispatch bays and holding areas (if any) are kept clean of any possible contamination. – staff are appropriately dressed at all times (the wearing of hair nets or scarves). – brushes used in the kitchen are halaal compliant. – meat and other suppliers are also vigorously checked for halaal compliance.